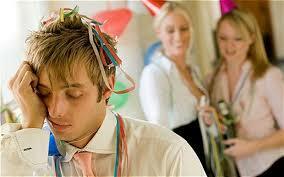 The Office Christmas Party – Friend Or Foe?? Ho! Ho! Ho! As the Christmas season hits full swing, most companies have already booked the venue, or at least are talking about it! As an employee, surely it is just the logistics to think about; how to get there and back, and what you are going to wear……or is it? Most of us love a good party – food, drink, dancing and socialising – but should you mix business with pleasure? It is a great bonding exercise, and normally at the expense of your employer, so why wouldn’t you go? The evening normally starts off calmly with a pre-dinner drink followed by lots of banter during dinner, but as the drinks flow the conversations invariably start to get interesting. People start telling stories about each other and their clients, or have enough courage to speak to someone they have only known of in another office. It could be said that the sensible ones make their departure having been to many of these in the past; they recall that they normally end in embarrassment, or a severe hangover! Why is it a group of professional adults suddenly forget they are being watched by their employers who nine times out of ten join in the shenanigans but never forget? Have you ever said something to your boss that you regret in the morning? Have you fallen asleep and needed waking up to get home? Did you hit on a colleague, or dance like you were Beyoncé? So why do we do it every year? Do we think the evening will be forgotten or maybe believe our bosses think we are cool and committed to the firm for staying the distance? Do we believe by sticking closely to the hierarchy we will develop our career even if it makes us do things that are not necessarily us? Will it reflect on our working relationship moving forward and would it stop that potential promotion? Christmas parties are fantastic fun, and going out with colleagues is a fabulous way to bond and develop relationships, but remember there is a thin line! You may not think you are being judged, but is your behaviour acceptable in front of your own staff, and will you still be respected? Let’s flip the coin: How do the employees feel that don’t join in with the heavy drinking or late nights? Do they feel they are missing out, or deemed not to be with the ‘in’ crowd? Will they miss out on the in jokes, or be overlooked for that promotion? I am not sure anyone has the right answers, and only you can decide what is acceptable to you and your company, but whatever avenue you pursue, have a fantastic time and remember someone always remembers! Why have I shared this with you? Am I speaking from experience, or did I watch from afar…?! Allison has worked at Property Personnel for 15 years and during that time has consistently been the highest achiever in the company. Allison's knowledge of both recruitment and the property industry is second to none and in January 2015 her loyalty and performance were deservedly rewarded with promotion to Director level.